Help reduce the acid causing bacteria in your mouth by simply swishing some Xylitol Mouthwash by Epic Dental around whenever you brush your teeth. 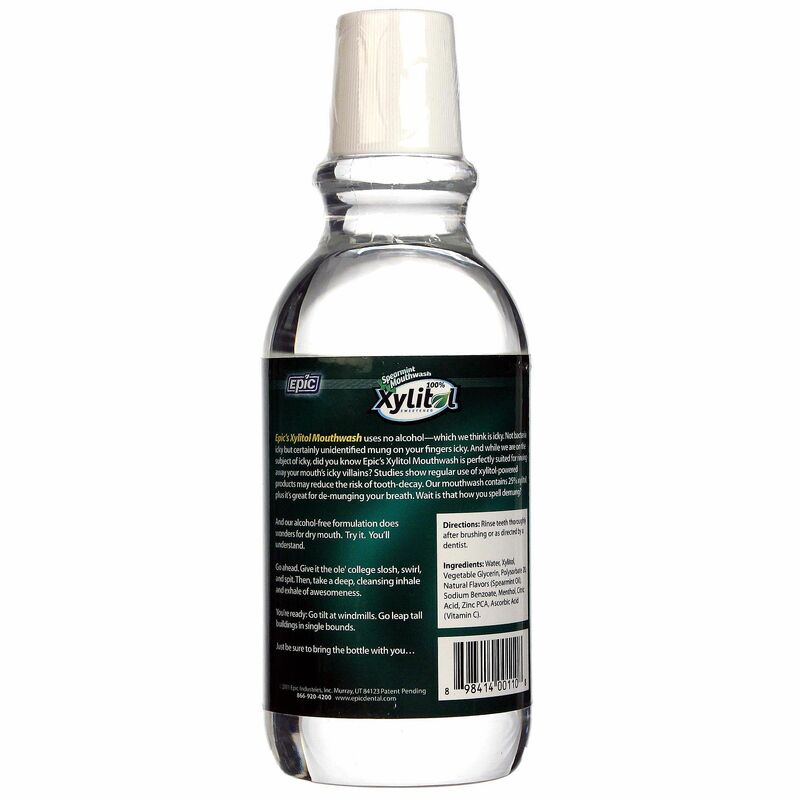 Xylitol Mouthwash doesn't have any sugar and is sweetened with the natural germ-fighting sweetener xylitol. Dentists recommend getting six grams of the sweetener on your teeth each day to prevent tooth decay (cavities), and each serving of Xylitol Mouthwash has .75 g of the sugar alternative. This mouthwash has a refreshing spearmint flavor and can help reduce dry mouth too. 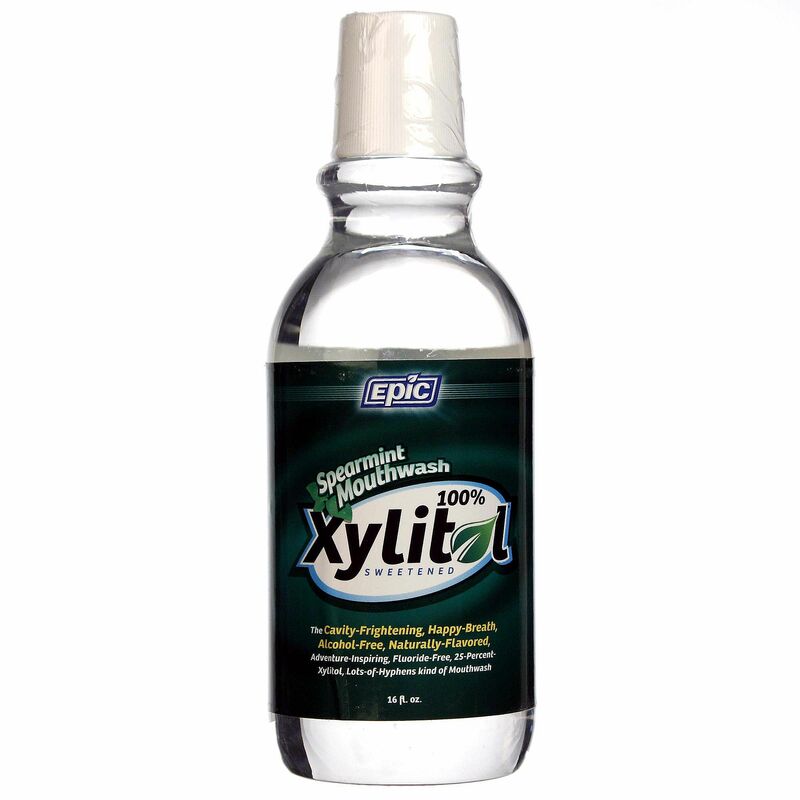 Fight germs, plaque and cavities with Xylitol Mouthwash by Epic Dental. Order yours from eVitamins today!